Transitions are disproportionately significant. They don’t convey the content of the message, but their critical role can significantly support, or significantly undermine the message as a whole. Last time I looked at the introductory transitions (A on the image). 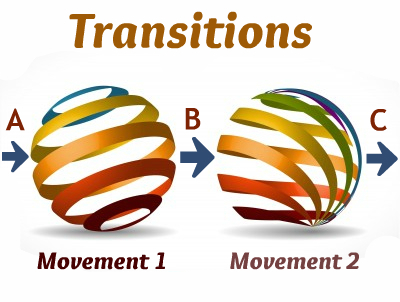 What about a transition between two movements in a message? This is the purest form of transition. 1. Slow down noticeably. The sermon is an unsafe vehicle. There are no seat belts or doors that guarantee your passengers will stay with you. When you take a turn, make sure they are right there or you’ll leave them in the aftermath of the previous movement. Slow down through the curves. Listeners can seem like they are with you at a certain pace of delivery, and they might be able to stay with you in a straight line, but when you go in a new direction they may be unable to keep track and they will be left in a heap with dust settling around them. Slow down. Change pace. Pause. Make the transition clear. Sometimes in our anxiety to press on and get through it all we can cut corners at this point (since it isn’t content at this point) and in doing so undermine the whole message. If you must speed up, do so within a movement, not between them. 2. Look both ways. That is to say, use the opportunity to provide both review and preview. Where have we been so far? Where are we going next? Just a couple of sentences can make the world of difference. It is the difference between an enjoyable ride in a nice car with a good driver, and an uncomfortable ride in an overpowered car with an overconfident teen at the wheel. 3. Mark physically. Slowing down the delivery and reflecting / previewing are helpful. But why not reinforce the shift in direction by a physical marker? You could physically switch from one side of the lectern to the other (assuming you don’t hide behind it all the time), you could gesture appropriately, change you orientation by a few degrees, etc. Subtle reinforcement in this way can communicate very effectively. Notice that I haven’t suggested simply saying, “Now for my next point…” If you have to, fine, but consider that this may have a soporific effect if the listeners don’t have confidence in you. Good transitions should give a sense of momentum and progress. Bad or patronizing ones can either lose people, or reinforce the sense of boredom. Maybe a minute of your message will be taken up by this kind of transition . . . but this minute could be make or break! No clever introduction, let the list continue . . .
9. 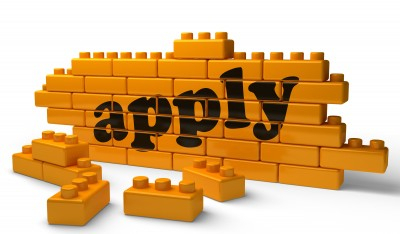 Be mature in your application. The immature preacher will hammer out simplistic advice. The mature preacher knows that Christianity isn’t about self-help advice and tips for better living. There is a place for clear guidelines, the Bible gives us such in certain areas. But a lot of life’s issues are not effectively addressed by simplistic “try harder” exhortations. We are designed to be empowered in responsiveness, not empowered for autonomous success. How does God’s promise and God’s presence change things? How does He change us? Don’t tell me to be a better man, but show me Christ and you’ll soon see a better me. 10. Be consistent with the worship. Too often the heart-stirring devotion of sung worship leads to whiplash when the whipping from the pulpit kicks into gear. The whole package should be consistent. If it doesn’t seem right to sing hymns of good living tips – “Raise up the bar so that we might try harder to be good,” or “Amazing Effort,” or “It’s All About Me, Jesus.” If that doesn’t seem right, then maybe it is the preaching that needs to be more consistent with the worship. 11. Be sermonically fresh. When sermons are predictable they tend to lose their impact. So if you are in a rhythm of explanation followed by three points of application in the final minutes, consider whether this tried and trusted method might well have become stale and predictable. Look for different ways to demonstrate the relevance of passages to your listeners. 12. Be consistently relevant. That is to say, instead of ending with application, consider how to demonstrate relevance and application throughout the message. The opening introductory comments are an ideal place to engage listeners and demonstrate your relevance, as well as the relevance of the message and the passage. Try stating your points in contemporary and applied terms. 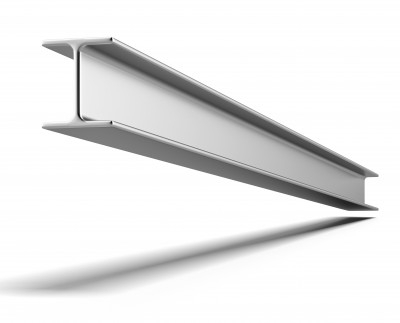 Use transitions for exploring developing application as the message progresses. Drop in hints of relevance, even if not fully developed applications, during the telling of biblical story (avoid trite applications that mishandle the text, but even hints of contemporary awareness can make a real difference to perception). A little while back I offered the preparation process in terms of four locations: Study, Stop and Pray (Prayer Closet), Starbucks, Stand and Deliver (Pulpit). To finish this series on spaces I want to poke around in each of these four locations and prompt our thinking. 1. Study. I’ve talked about this over the past few days, but essentially the issue here is both noise and access to resources. To really concentrate on getting to grips with the exegesis means not being pulled away by other things. It also means being able to spread out the books, while also opening up the heart. Is it worth considering a separate desk for this? Is it possible to make the key resources easily accessible? Can you put a “Do Not Disturb” sign on your door? 2. Stop and Pray. This one is all about noise. The noise of people interrupting, the noise of phones beeping, the noise of tasks calling you. You need to silence them all. I suspect many of us can’t achieve this in our study or office. Would it be better to walk and pray with the mobile phone left at home? Would it be better to go to the church and pray through this phase in the place where you will preach the message? I find this helpful as it helps to prompt my prayers toward the specific people and families that will be there. 3. Starbucks. This one is about targeting the message. Personally I don’t find coffee shops the most conducive to concentrated preparation. But I see the argument in favour of them (as long as I have music in my ears instead of loud conversations from the volume-unaware that tend to sit near me in these places!) Somehow the goal here is to be sensitive and alert to the people and the kind of people to whom the message will be preached. This could be as simple as putting a couple of pictures up on the screen, or placing names on 3×5 cards on the desk, or being around people. But, if I can’t help but be distracted by being around people, it is better to get the work done in a room on my own! 4. Stand and Deliver. Different issue, but worthwhile . 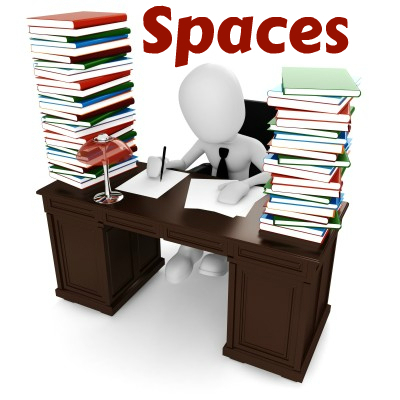 . . what are the issues in terms of preaching proxemics? Is there clutter in the preaching environment? Am I situated in the best place for this congregation? Should I come down to their level? Can I lose the seaworthy pulpit and be seen? Is there clutter from their perspective? 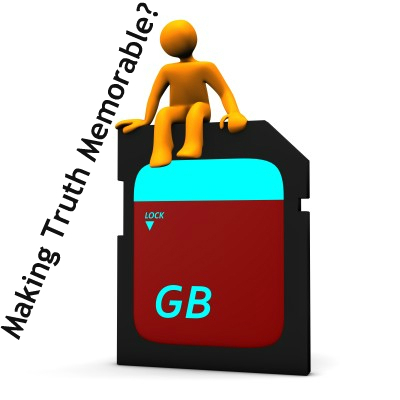 “Homiletics is all about making truth memorable.” That’s what I was told recently. It was explicitly focused on the issue of sermonic outlines. While I can see some merit in the statement, I ultimately have to disagree. I think this is an old way of thinking that is rooted in a limited understanding of both the Bible and the listener. It assumes the Bible is a repository of truth statements muddled by different genre. It assumes the listener is a mind-centred creature that will live well if well informed. It assumes preaching is primarily about the orderly transfer of information. 1. Transferring an outline to the listeners is not the goal of preaching. In fact, it might even distract preacher and listener from what is more important…understanding the passage, encountering God in His Word, feeling the force of its application, etc. 2. Overly crafted outlines might have some negative side effects. For instance, the listener may equate crafting alliterated outlines with accurate interpretation of Scripture and then either copy the method, or feel inadequate to handle the Bible for themselves. In this generation, perhaps more than before, the listener may find the preacher with clever outlines to be inauthentic and perceive him to be something of a performer. We need to be wary of over crafting. It would be better to understand the passage more, especially since many passages are not written as equally weighted paralleled points. 3. There are some things to make memorable. The main idea of the message, the application of the passage, perhaps the sense of encounter with the Lord, the sense that the passage was helpful (better for them to go back to the text, instead of relying on a simplified outline). 4. There is more to preaching than making something memorable. The human is created as a more complex creature than a computer. We don’t simply live from coding placed in our memory. We are heart-driven responders and relaters. We need to be informed, but in that informing process we ultimately need to encounter the Lord who reveals himself to us in His Word. Tomorrow I will ponder another overly simplistic explanation of preaching, hopefully with some value for us as preachers. Yesterday I shared some reflections on the advantages of the approach I took to preaching through Ruth last month. The evening meeting allowed a different approach to the morning meeting, so I had folks marking up the passage on a handout, and then interacting together about observations along the way. Here are some of the disadvantages, limitations or challenges in this approach. 1. It takes longer. If the church is very strict on end time, then you have to begin it earlier in the meeting. What might take 30 minutes to preach, can take 45-50 minutes with this approach. Having said that, people should feel fully engaged if it is done well. It may also take longer in preparation. That is, even though the homiletical crafting may be less, the exegetical awareness needs to be maximal. 2. It requires a certain relational comfort level. Maybe requires is too strong a word. I appreciated knowing the people and feeling a sense of mutual trust. Having said that, I have seen someone do the same thing with a group of people he’d never met before and it worked very well. But he had to win trust very quickly. Too big of a group and it would lose the relational connection potential. 4. It requires lots of preacher thinking. When people participate, there is less control for the preacher. You don’t know where they will go. Your questions will influence that, but you really have to know your stuff, and know your plan. How will you create and sustain tension with this approach? When will you preach, and when will you interact? How can the conclusion have impact? 5. You may have to overcome other messages and ideas. Perhaps it wouldn’t work so well in a very familiar New Testament passage. Or perhaps it is just what is needed. But you would need to help people see the text itself, rather than their preconceived ideas and favourite points from other preachers. Overall, none of these issues disqualify the approach and I will used it again, modifying continually. Print the text, let them mark it up and lead as you all enjoy the adventure together. Last month I decided to try something a little different in our church. I used the Sunday evening service (we have two services on a Sunday), for a study through the book of Ruth. Each person attending was given a handout with the plain text of the passage for the evening with headings removed, but plenty of margin space allowed. At various points I had them marking the text and then interacted with them as we observed the passage together. I still preached, but it wasn’t a tightly controlled sermon. I determined when there would be interaction, and overall I think it worked well. Upon reflection, here are some of the advantages of this approach (not saying it should replace normal preaching, but I think it has a place). 1. It shows people that they can read and think about the passage, they don’t need to be spoon fed. It is easy to get into the habit of only getting Bible input from “experts” – either at church, or for some, on MP3 downloads during the week. But this approach subtly reminds people that they can look at and think about the text themselves. 2. It shows some people that they don’t automatically know everything. This is in contrast to number 1, I suppose. Some people are over confident in their view on everything. This approach allows them to discover that they missed something and should look closer. “I never saw that before” isn’t such a scary phrase from the preacher’s perspective, when they are actually observing the text with other people and it is plainly before them (rather than a homiletical invention). 3. It gives people experience of observing, then interpreting, then applying. Some never really observe, some skip straight to application, etc. This is a good group exposure to inductive Bible study. 4. It slows the pace of experiencing the text. In this instance, it was Ruth, a narrative. Good preaching can also slow the pace of experiencing the text, but this approach certainly did. People felt the tension and it built nicely, both during the message and over the weeks. 5. The preaching element is proven. That is, if done well, the preaching element should not get the “I wouldn’t have seen that in the text” kind of response. They are seeing it, the preacher is just building and reinforcing what has already come through. I found the more traditional preaching element in this series felt very gritty and real: it was the explanation and reinforcement of the main theme in each passage, tied into the bigger picture of the book. Titles are intended to provoke interest. This one is not intended to condemn all topical approaches to preaching. I suppose I should probably call it “A brief discussion into why a topical approach to preaching should not be our default.” But that would hardly make you want to read it. I preached a topical message last Sunday. I will do so again. However, I don’t do this as a default approach. I think the reason that people do is probably tied to the issue of interest or relevance. Surely a topical approach allows the preaching to be relevant to the listeners? Not necessarily. 1. The relevance of a message is not determined by sermon shape, but by preacher’s strategy. That is, you can preach topically and be both dull and irrelevant. You can preach a single text exposition and be both engaging and highly relevant. The real issue is the heart of the preacher being in tune with God’s heart for His people, and in tune with the people to whom he preaches – both to know them, and to care for them. If you care, it will show. 2. Relevance is not something we add, it is something we bring out. It is something we emphasize. 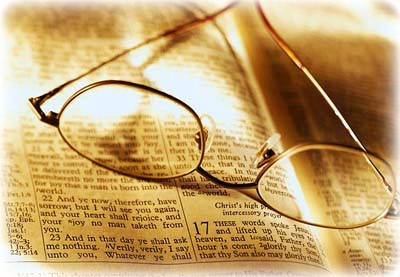 All Scripture is God-breathed and it is useful, profitable. Our task is not to add relevance, either by making up disconnected applications, or by piling up application-overt texts. Our task is to show how whatever we preach makes a difference in the lives of the listeners. Whether we choose to use multiple texts or not is a different matter, but it is not the key to relevance in our preaching. 3. Topical preaching, if it is to be truly expository, is a lot of work. This is something I always tell beginning preachers. It might seem like the only way to “fill time,” or a helpful short-cut, or even a means to relevant preaching. In reality, good topical preaching is a lot of extra work. Let’s say you choose four texts to be your four points, with an overarching biblical main idea to guide the message. That’s four passages that you should study properly and handle properly. 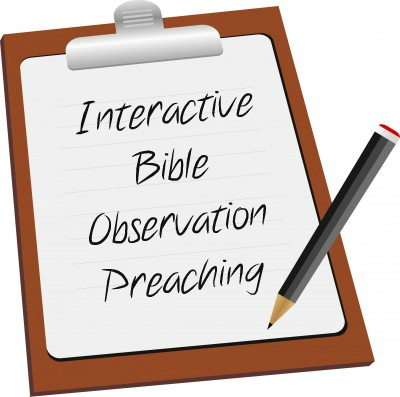 Topical preaching multiplies work for the preacher (and sometimes it multiples work for the listener, just trying to keep it all together, find the passages, etc.). 4. Topical preaching, if it isn’t expository, can lead to dangerous imposition. That is to say, if you aren’t diligently and carefully understanding passages according to their context, then you could well be imposing meaning that isn’t really there. And let’s say you somehow manage to handle every text accurately, chances are that listeners will copy your approach to Scripture. They will parachute in, grab a phrase, apply it according to their own agenda and they will get it wrong (even if you got it right). I think we should preach topically. But let’s do so judiciously. It shouldn’t be our default. And when we do it, let’s be sure to really let the texts be in charge of the message.